Having lived the elite athlete existence for many years, Carrie now incorporates her experience and education to coach endurance sports including triathlon, duathlon, trail and road running, swimrun, mountain biking and Nordic skiing. She is particularly tuned in to finding a balance for individuals who want to be fit, healthy and competitive despite living busy lives. Carrie is as much an inquisitive scientist as an educator and coach, bringing this balance to every level of athlete. Carrie McCusker specializes in athlete performance at all levels. While she has spent the majority of her life as a competitive elite athlete she is also an experienced educator and coach with an MS in education and extensive training in the implementation of science based coaching with a focus on meeting the needs of each individual athlete. Carrie has been coaching and educating athletes for over fifteen years. She is a lifelong learner and continues to study the latest research and attend relevant educational opportunities. At Middlebury College, Carrie competed as a division 1 nordic skier and has since stood on the podium and qualified for world competition in every distance of triathlon. 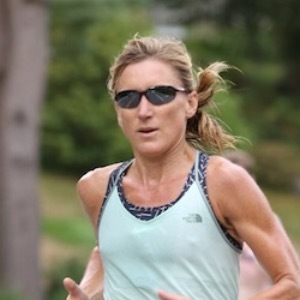 She has also achieved success in running, finishing top 3 from 5K to marathon on the road, and has also spent time on the trails and mountain running. She was named 5 times as Runner of the Year by the Maine Track Club over an 18 year span. Her specialties include triathlon, Nordic skiing, swimrun and running. She has coached youth, college, and adult athletes of all levels. Carrie is based in the Portland, Maine area where she lives, bikes, runs, hikes, surfs, paddles, and swims with friends and family. Success. Coach Carrie McCusker has been notified of your message.